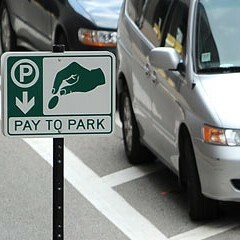 Everybody knows the parking meter deal stinks—but is it legal? Attorney Clint Krislov argues that Chicago's parking meter privatization deal is unconstitutional. Five years after it was put into place, Chicago's parking meter privatization deal is widely seen as one of the great taxpayer rip-offs in the city's history. The open question is whether it's legal. Lawyers argued the point once again before a three-judge panel of the Illinois Appellate Court on Thursday. It was the latest round of a lawsuit filed in 2009 by attorney Clint Krislov on behalf of the IVI-IPO, a public-interest group. Krislov argued that when the city turned over control of the street parking system to Chicago Parking Meters LLC, it unconstitutionally gave up control of its "police powers"—that is, its ability to regulate traffic and parking. He stressed that every time the city changes meter locations or hours, or takes them out of commission for street repairs or neighborhood festivals, it has to compensate the private company. The tab for such "true-up" payments adds up to millions of dollars a year, which severely limits the city's ability to enact public policy, he maintained. "The city can outsource buying a pencil rather than making one itself," Krislov said. "But it's an entirely different situation for the city to sell the public way and then have to pay every time they make a change. CPM now has a cash flow that the city is obligated to protect." Lawyers for the city and for CPM countered that the city still has the power to do whatever it wants with the meters, and they cited the true-up payments as proof. "The city in fact exercised their police powers—they closed streets, they held street fairs, they repaired streets, and they paid for it," said Robert Sperling, an attorney for Winston & Strawn, the powerful firm that represents the meter company. "They have total control over the streets." The court hearing came less than a month after CPM released an audit showing that it reaped nearly $136 million in revenues in 2013. The city made $23.8 million from the meter system in 2008 before handing it over to the private company in return for about $1.2 billion. But the city is essentially on the hook to return some of that money each year. 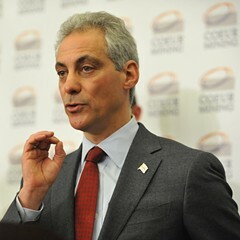 Mayor Rahm Emanuel has claimed that through negotiations with CPM he's managed to reduce the city's true-up payments over the next 70 years of the deal. But the assertions don't all hold up. The city is still responsible for true-up payments—it sent about $15 million to CPM in 2013 alone, according to the audit—and there is no way to predict what the figures will be in the future. 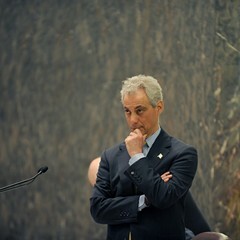 Emanuel continues to order city lawyers to fight to keep the deal intact. In 2012 a Cook County judge ruled that the agreement may be "a bad deal," but the fact that the city was fighting to keep it in place—under both mayors Richard Daley and Rahm Emanuel—meant that it must be achieving some public purpose. The citizens in the IVI-IPO couldn't show that they were personally harmed by the deal, the judge ruled. City attorney Julian Henriques reiterated the argument before the appellate judges. Krislov responded that taxpayers suffer when the city is forced to turn over public money to compensate CPM. But the judges appeared most interested in the question of whether the city had sold off its ability to carry out public policy. Judge Shelvin Louise Marie Hall asked Sperling why the city should be required to pay employees to issue parking tickets that help CPM generate meter revenue. Because that's the deal the city struck, Sperling said. "You can't enter into a transaction with a prospective bidder, take a billion dollars, and then turn your backs and say, 'We're not going to do anything to enforce it.'" 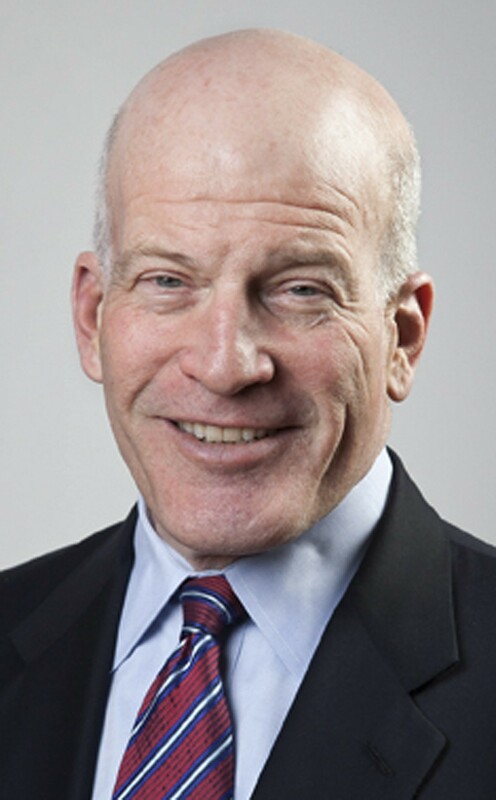 Sperling also noted that the deal had been ratified by the Chicago City Council—twice, in fact—and that the courts give wide latitude to elected legislative bodies. "There is nothing to indicate that the City Council acted improperly," he said. Krislov, though, kept hammering at the point that taxpayers will continue to lose out if the deal remains in place. "This is a creature that has never been approved before and should not be allowed." The judges are expected to issue a ruling later this year. 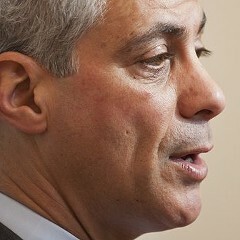 Under Rahm's new agreement, the public will continue enriching private investors.